Edmond Kan is a well-known and successful competitor and trainer in the sport of IPO, which is a multidisciplinary sport for working dogs particularly German Shepherd dogs that helps to identify those that have good conformation and working abilities in 3 phases, making them very reliable family dogs as well as suitable breeding stock. The sport of IPO requires a great deal of time and patience but results in dogs that are reliable, confident, predictable and controllable under all circumstances making them suitable for living with families and able to cope with a variety of situations. 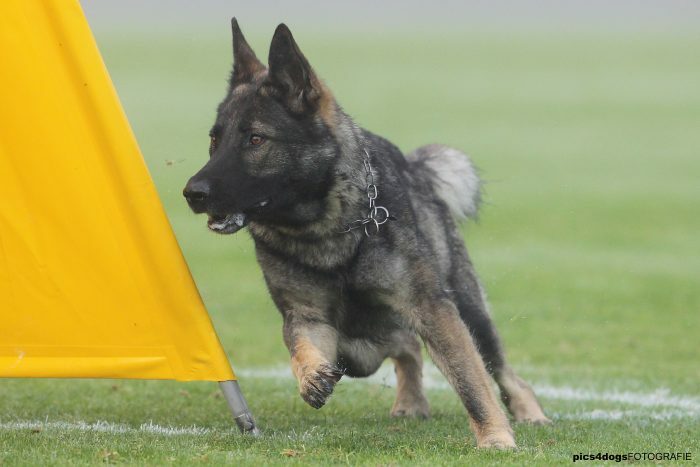 “IPO is an extremely physically demanding sport where our dogs compete in 3 phases: tracking, obedience and protection. Before STORM, when I was competing at the World Championships (2015), my dog was noticeably fatigued from the daily requirements of training nearing competition. Since using STORM Canis, the difference is noticeable not only by our team, but in our results. Where speed and fitness plays a pivotal role, we require a dog that can remain consistent in performance often for weeks and months during competition season. STORM Canis helps with exactly what it says it does! Improving recovery and delaying muscle fatigue – STORM will always be part of my dog’s diet!